You’ll come across many symbols during your yoga journey, and each one has a distinct and deep meaning. And the chakras are no exception! These seven energy centers within your body are represented by seven unique symbols, each with hidden meanings. The symbol for each chakra is made up of different imagery and colors, and each symbol embodies the meaning of its corresponding chakra. 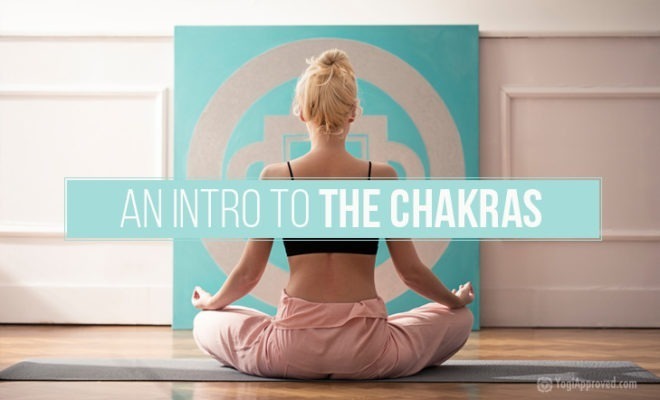 This short guide is your introduction to the hidden meaning behind the chakra symbols! Want to dive deeper into the meaning of the chakras themselves? Read An Introduction to the Chakras. In Sanskrit the word chakra roughly translates to “wheel.” The seven symbolic energy wheels in your body begin at the base of your spine and end at the crown of your head. They connect to the body to the mind and the mind to the spirit. Before we dive into the chakra symbols, let’s talk about the one element they all have in common – the circle. The circle is a universal representation of infinity, and the infinite and cyclical nature of energy. It also represents connection to and unity with ourselves, other beings, and a higher purpose. Each chakra symbol incorporates the powerful circle as a reminder of our connection to the divine. 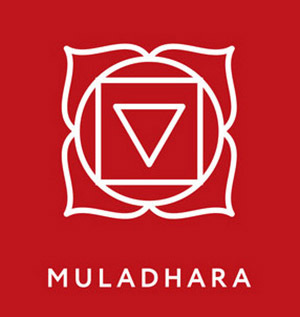 Muladhara is the Root Chakra at the base of your spine, and it’s all about grounding. The square in this symbol represents rigidity, stability, and has a foundational energy. 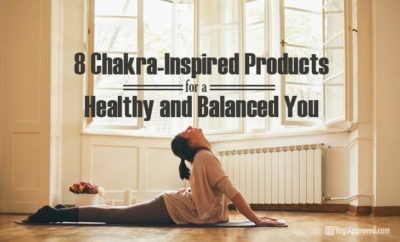 It provides a stable structure for the chakra system to rest on. The upside-down triangle is the alchemical symbol for earth, which also reminds us of the grounded energy of Muladhara. The four petals in this symbol represent the four mind-states that originate in this chakra: mind, intellect, consciousness, and ego. Learn more about your Root Chakra here. 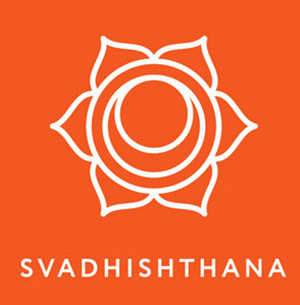 Svadhishthana is your Sacral Chakra, your center of creativity. The circles in connection with the lotus flower petals represent the cyclical nature of birth, death, and rebirth. The tangential circles also create a crescent moon shape, which is a nice reminder of the connection between creativity and the phases of the moon. Learn more about your Sacral Chakra here. 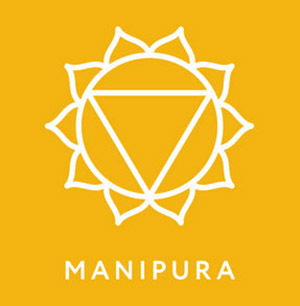 Manipura is your Solar Plexus Chakra, and directly affects your confidence. The ten petals of this symbol connect it to the ten Pranas in your body, or, for simplicity, types of air energy manipulation. You have five Pranas and five Upa Pranas. The upside-down triangle in this symbol represents the energy of the lower three chakras being concentrated and energetically spreading up to the higher chakras. Think of it as an upside-down funnel of earth energy. Learn more about your Solar Plexus Chakra here. The six-point star in combination with the 12 petals in this symbol represents your 72,000 energy channels, or nadis (6,000 x 12 = 72,000). 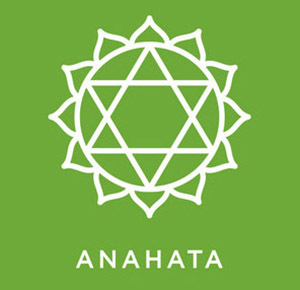 This is also representative of how Anahata is the central chakra that connects the whole system. Learn more about your Heart Chakra here. 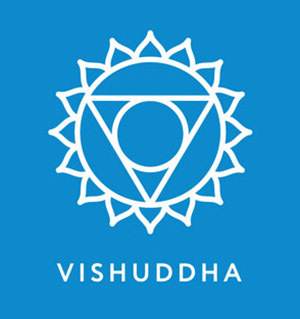 Vishuddha is your Throat Chakra, and houses your ability to communicate and speak up for what you believe in. Similar to Manipura, the triangle in this symbol represents energy moving upward. In this instance, though, the energy is the gathering of knowledge toward enlightenment. The 16 petals of this symbol are often associated with 16 vowels of the Sanskrit language. The pronunciation of these vowels is light and breathy, so the petals represent the airy quality of communication. Learn more about your Throat Chakra here. 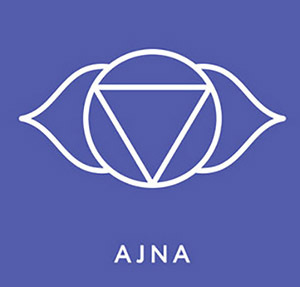 Ajna is your Third Eye Chakra, your seat of intuition. You see a continuation of the upside-down triangle in this symbol as this is the last chakra before your Crown Chakra, which is your connection to divinity and true enlightenment. This triangle represents the knowledge and lessons of the lower six chakras being gathered and expanded into your divine consciousness. Learn more about your Third Eye Chakra here. 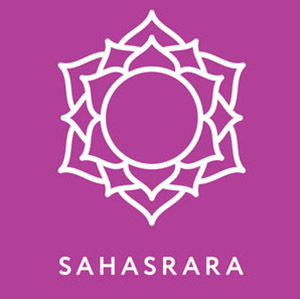 Sahasrara is your Crown Chakra, or your divine connection. This symbol is simply the divine circle and the lotus flower, which is a reminder of our connection to Brahma, the Hindu god of creation. This symbol represents our divine unity with other beings and with the universe. The lotus flower represents prosperity and eternity, among many other things. Learn more about your Crown Chakra here. I’d like to take a moment to acknowledge that there are many different interpretations of the chakra symbols, and this set is just one of those interpretations. I encourage you to look up the meaning behind any new symbols you come across and get curious about how they apply to you and your practice. You can use these chakra symbols, or pieces of them, to help activate and align your chakras. Remember – if one chakra is blocked you’ll sense an imbalance in your entire being. By wearing certain colors or eating certain foods, you can realign your chakras. 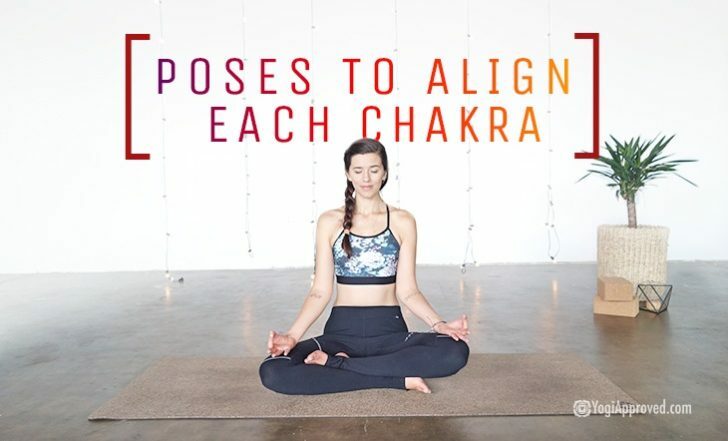 You can also realign your chakras with your yoga practice. In yoga, particular postures and mantras align the chakra system and overall flow of prana (life force) energy. When your chakras are in alignment, you can live your best life!